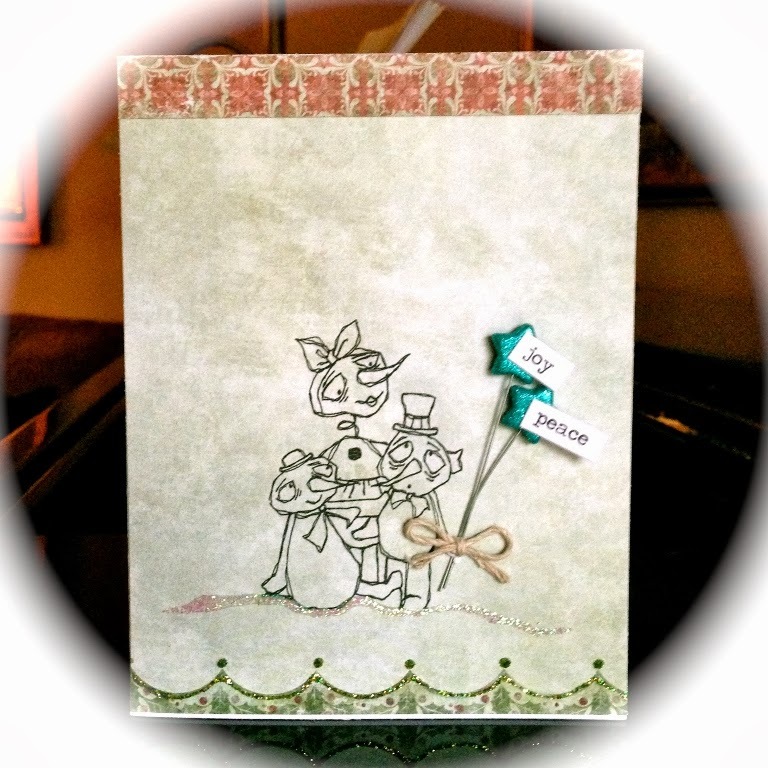 Queen Kat Designs: Merry Christmas from Queen Kat Designs!!! Very Merry Christmas & Safe and Prosperous New Year!! Because it's Christmas Day we have a special festive post for you to share some of our Christmas Creations using images from a range of talented Queen Kat Designs Artists. You can find all the images at the Queen Kat Designs Store - so how about treating yourself! Victoria using "Christmas Friends" by Sandra Caldwell. Sandra always has such cute & quirky designs to create with. 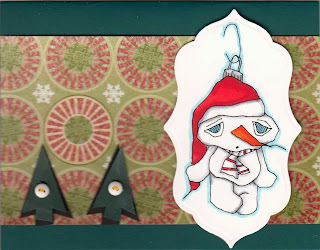 Holley using "Minty" by Nikki Burnette. A real sassy xmas nymph! 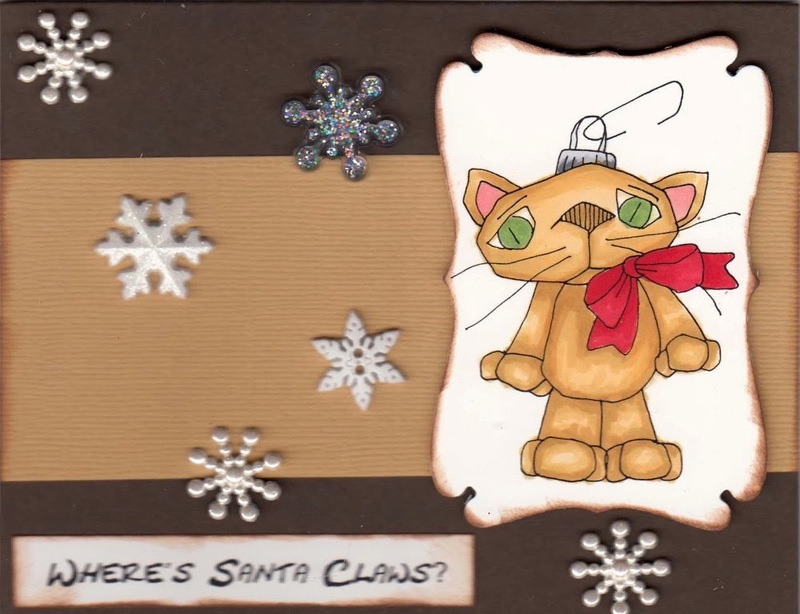 And Holley is also sharing cards using Sandra Caldwell's "Kitty Ornament" & "Snowman Ornament". 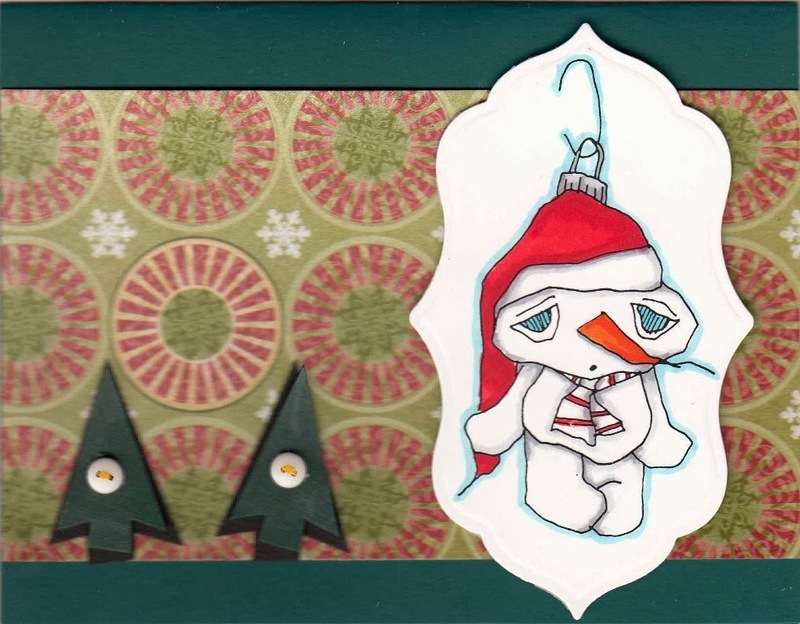 Sandra has a range of xmas "ornament" images - very cute! Sharon using Jaz Higgins "Peppermint Princess". Jaz has some great big eyed gal designs! one in non-traditional colours and the other using more traditional colours for xmas. We hope you all have a wonderful day with family and friends! We will continue to share our creations in 2014 so if you are not already a follower why not become one and keep up to date with new releases and inspiration!